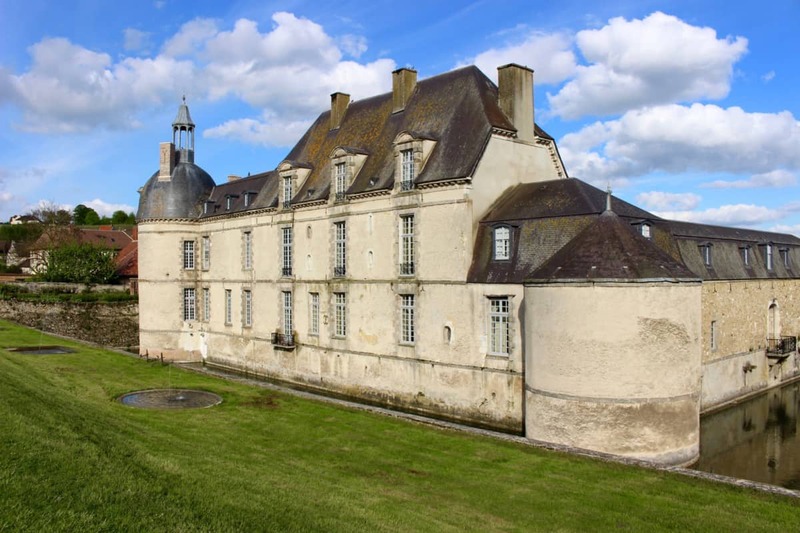 Chateau d’Etoges dates from the 17 century and is surrounded by a moat with water fed from natural springs. 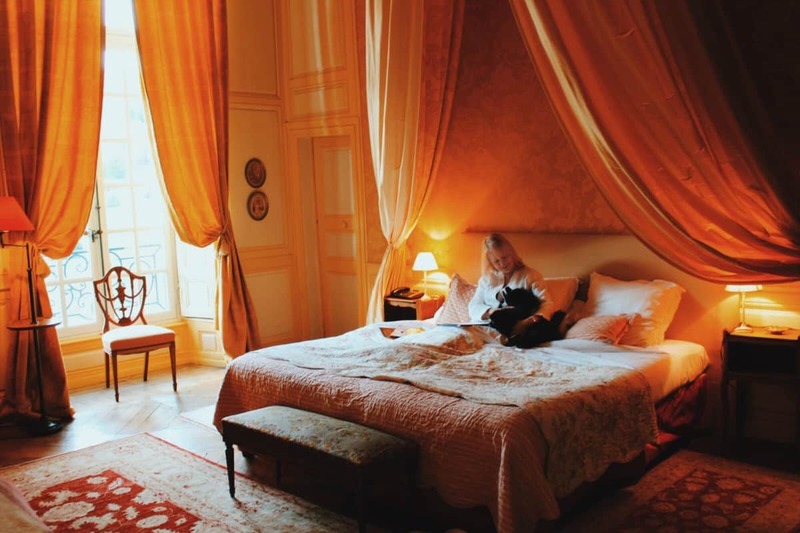 If you picture a quintessential French Chateau in your minds eye, this will be exactly what you picture. 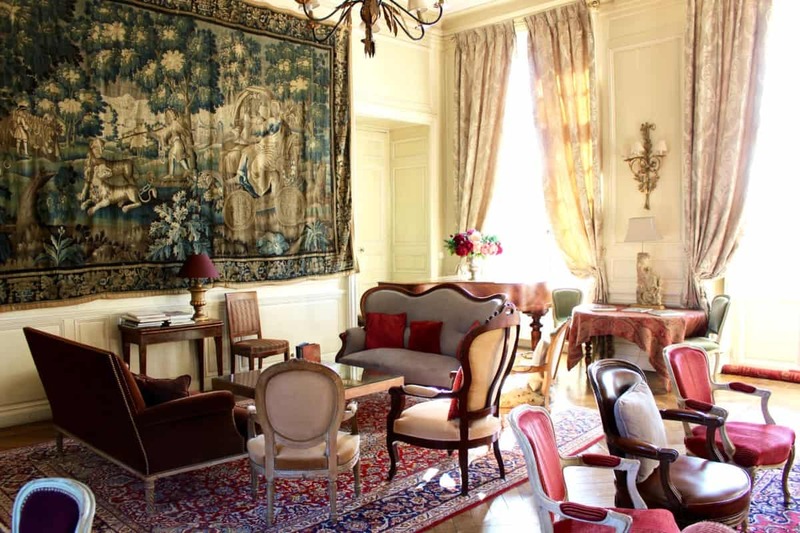 Chateau D’Etoges has been in the same family for a hundred years and is imbued with history all around but also a very warm, friendly atmosphere. You are guaranteed a warm welcome. Pictured above is our charming room looking out over the manicured lawns. You cannot imagine how quiet and peaceful it is at the Chateau. The bathroom did not disappoint with a good shower and bath too. The bed was extremely comfortable, a Diva essential as regular readers will know! Freddie and Zarya my two small Pomeranians were welcome too. You will enjoy staying here. Downstairs you will find a really impressive Salon where you can enjoy an Aperitif. Also, next this is a a Breakfast room. This is a perfect place to stop if you want to explore the surrounding area or you are travelling South and need a great place to break the journey. We were travelling down to the South of France and it is 3 hours drive from the Channel Tunnel, which is just a perfect distance. Make sure you enjoy a visit to some of the wineries nearby. 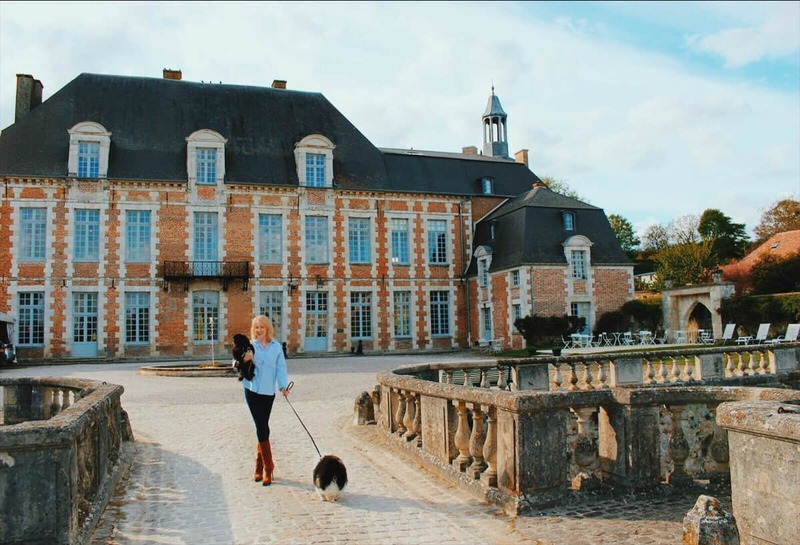 Chateau d’Etoges would be the most magical venue for a wedding, fora my brides to be reading this blog! 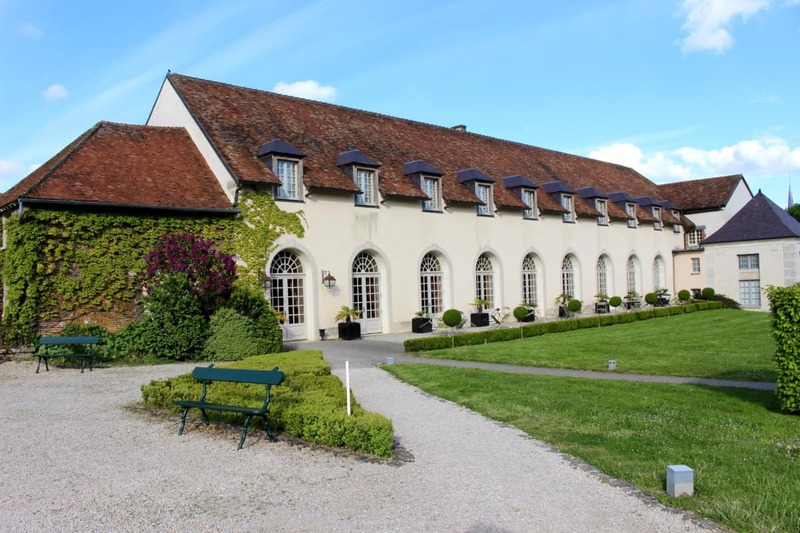 Chateau d’Etoges is situated in the heart of Champagne countryside surrounded by Vineyards and has so many Champagne producers close by. 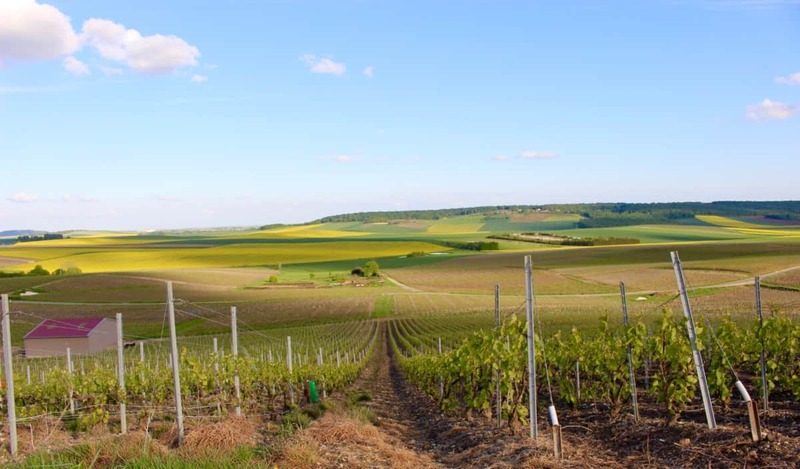 Explore the area and stop and sample Champagne as you go. The Chateau even provides bicycles so you do not need to drink and drive! 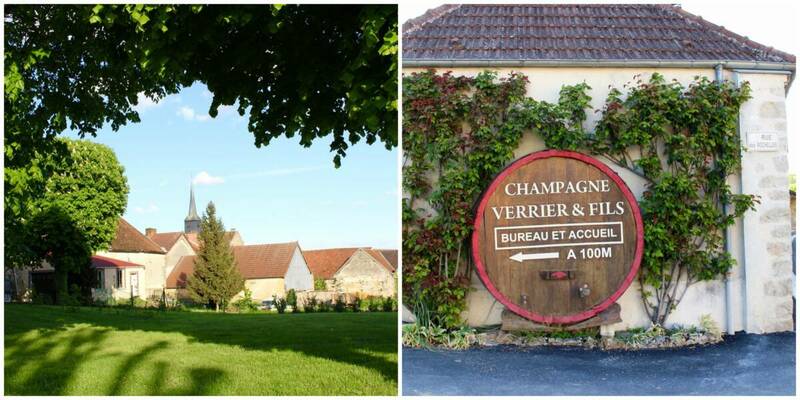 This area is easily accessible from Paris, perfectly located for exploring Reims, Epernay and surrounding areas. 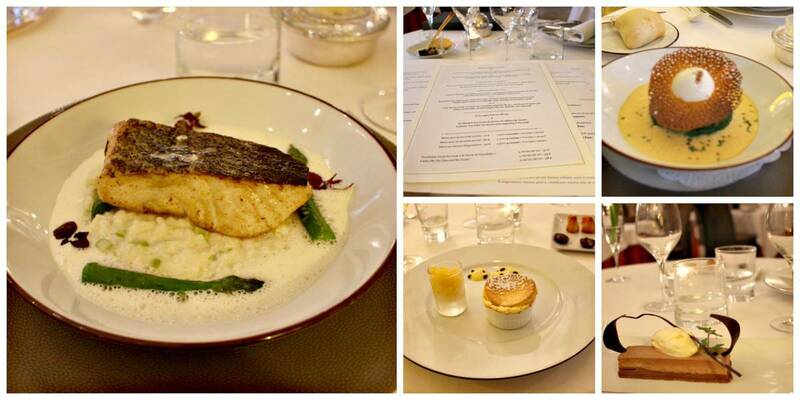 The Chateau boasts a very good restaurant in The Orangerie. Make sure to book because it is always popular! We chose the four course Discovery menu and thoroughly enjoyed the delicious dinner accompanied with Champagne and a bottle of Chablis. The wine list is superb as you would expect! Chateau l’Etoges is beautiful at night, strolling from the Orangerie. A good nights sleep is guaranteed, it is so quiet and comfortable. 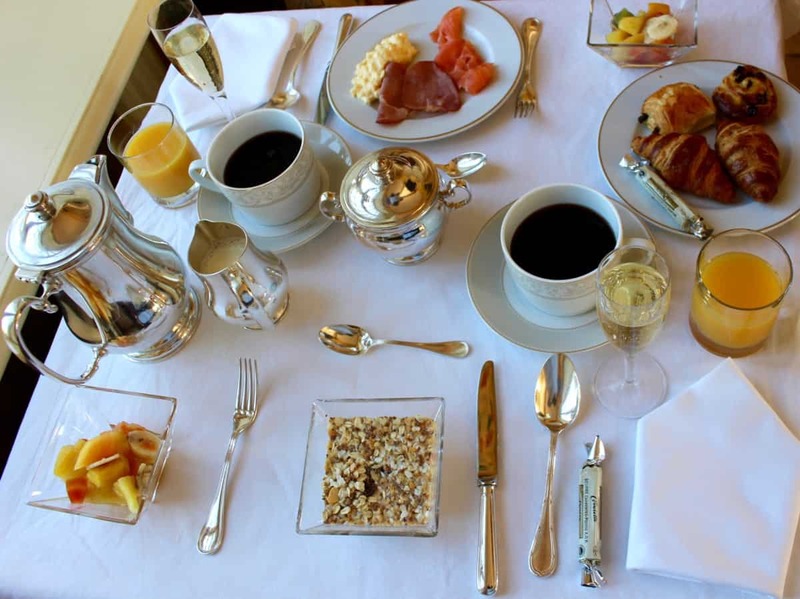 Enjoy a Champagne breakfast to set you up for the day. Choose from an array of cooked dishes, pastries, fruit salad and all sorts of good things. Interesting fact: The TV show Absolutely Champers with Jennifer Saunders and Joanna Lumley was filmed at the Chateau. A really interesting TV show all about Champagne. Check it out on IPlayer. We will definitely be back to stay again. This was actually my second visit!